Sciatica, Is There A Cure? If you have sciatica, then you will likely know what it is, so we won’t be too simplistic here don’t worry. However, it is important that you understand what’s happening in your body so that we can treat it properly. Sciatica is an excruciating condition that can cause pain all along the sciatic nerve. Typically, this pain is felt in the bum or one leg. It can sometimes be felt in the back and both legs, but these are less common. If you feel pain in your back from sciatica, this is due to the small nerve roots that feed the sciatic nerve being damaged. This occurs when the lower back is damaged in some way, either by a repetitive strain injury or a trauma. Sciatica is a very uncomfortable and painful condition that should be treated as quickly as possible. The problem is, so many doctors pass off sciatica as being a condition in itself when actually it is more of a symptom rather than its own condition. We often find, a lot of pain down the leg is just simply marked down as sciatica, but the problem is a lot more complex than that. You see, sciatica is where the sciatic nerve becomes irritated by something. So, in order to treat sciatica, we first must find out what irritated it in the first place. It’s no good simply treating a symptom of an underlying condition. An approach like that will never end in success. So the first thing we do is find the root of the cause. Injury or damage to the disc which puts pressure on the sciatic’s nerves roots either directly, or because of excessive inflammation. A break of the lower spine causing a slippage of one vertebra forwards or backward. Wear and tear of the disc and vertebra, bone spurs can also be present causing inflammation of the nerve. Narrowing of the spinal canal, reducing the amount of free space for the spinal cord or spinal nerves. 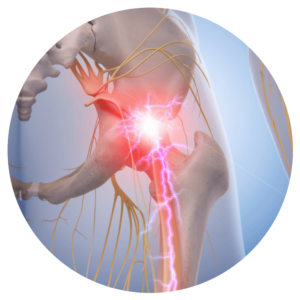 Finding the direct cause of your sciatica will mean that our team can treat this condition. As this condition starts to improve, so should your sciatica. You will find that as treatment progresses, the symptoms & pain start to ease. The true treatment for sciatica is finding the root of the issue and treating that condition. When to speak to a healthcare professional about sciatica? If your symptoms are severe or getting worse, speak with us about your pain. We can usually diagnose sciatica quite quickly. However, the underlying cause of it can sometimes take a little longer to diagnose. To diagnose this, we may need to perform further tests like x rays or MRI scans to see what the cause is. However, during this time, you will be given treatments to help with your sciatica. What are the treatments for sciatica? Unfortunately, if you visit the GP, the usual method of treating sciatica is to give you painkillers and anti-inflammatory drugs to help you cope with the pain. However, as we found out above, sciatica is typically a symptom of an underlying cause so the “painkiller approach” can often only mask the pain allowing you to unwittingly make that condition worse. When we treat sciatica, focus primarily on treating the cause of sciatica, reducing the inflammation and healing the damage. It also means that you aren’t going to do any further damage to the slipped disc, for example, with the wrong exercises. Now, the problem with our method of treatment, if there is one, is that we can’t go into too much detail about it. You see, the treatment programme you receive from us is tailored to you and your condition. However, what we can do is tell you about the treatments that do work well in treating sciatica. Gently stretches the spine, helping reduce pressure and increase healing. Moving specific spinal joints to reduce stiffness & improve alignment. Targets injured tissues to reduce pain by accelerating healing & recovery. 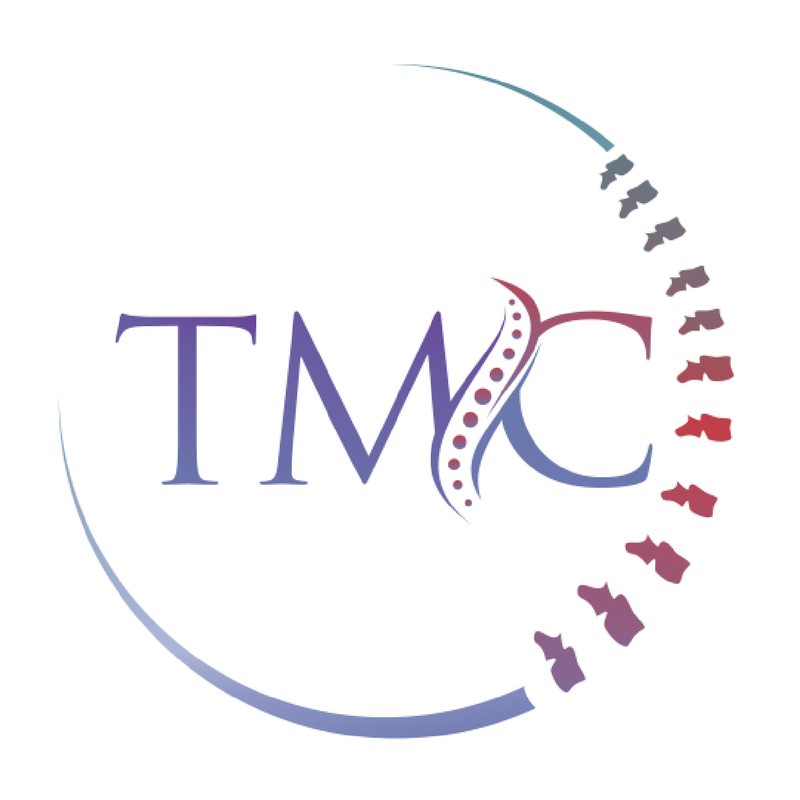 We use the treatments above to treat an underlying condition like a slipped disc. Once these treatments begin to work, the pain from your sciatica should ease as well. Quite often patients ill notice relief from the first treatment. We can then provide you with a comprehensive treatment programme to prevent the underlying cause and sciatica from returning. Sciatica is extremely painful, but the condition typically doesn’t last that long. It will usually only last a few weeks, but, once again, this depends on what’s causing it. If you have a long-term back problem, then chances are you’ll have sciatica for a long time too, or repeated episodes. Once this issue is sorted, your sciatica should be too. Thanks to the treatment technologies we have in the clinic, treating sciatica has never been more effective. Lasting relief from a painful condition is possible! We hope this article about sciatica has given you a clearer understanding of what sciatica is and how it can be treated. If you’d like to learn about other common back conditions and their treatments, please explore our website further. We also have articles about common causes of neck pain that might be valuable to you and your health. If you’d like our help with finding the underlying cause of your sciatic pain, please get in touch, we’ll be happy to help.